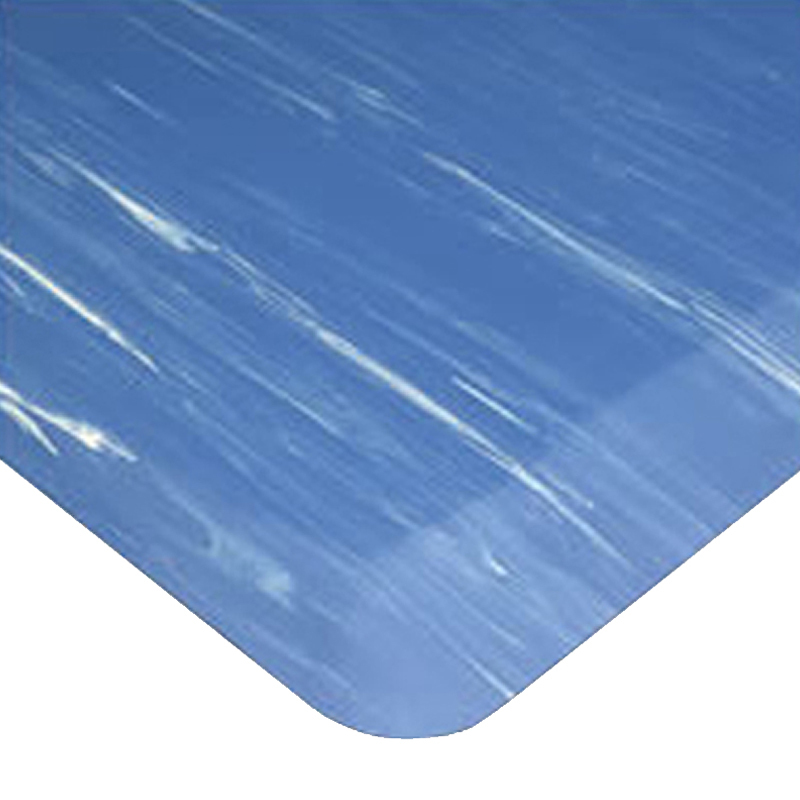 A marble design on an abrasion-resistant rubber surface provides relief and comfort for indoor locations. 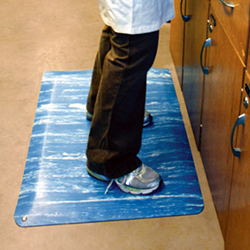 • Permanently anti-microbial, to destroy micro-organisms and significantly reduce air-borne contaminants. • Use in dry areas. 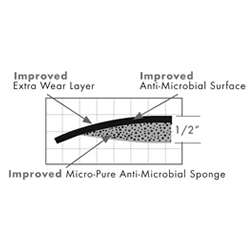 Sponge base is composed of Nitricell®, a unique compound of PVC and Nitrile rubber formulated for resilience. • Surface remains attractive even in high traffic areas. 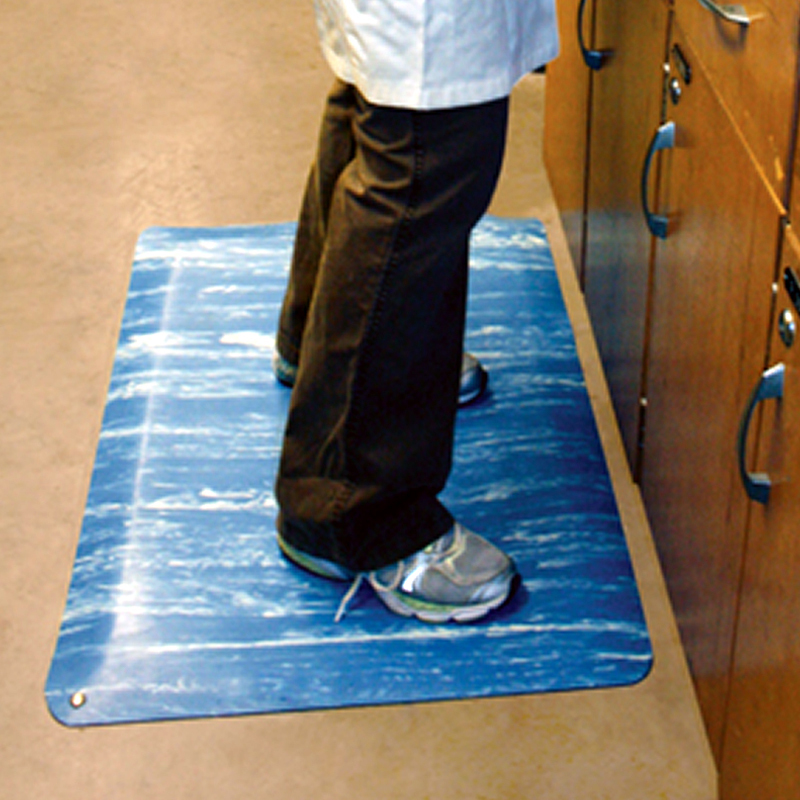 • Available in 4 different colors to match your work area. The mat arrived within a couple days after placing my order. I was pleasantly surprised. Cancer and Reproductive Harm. www.P65Warnings.ca.gov.